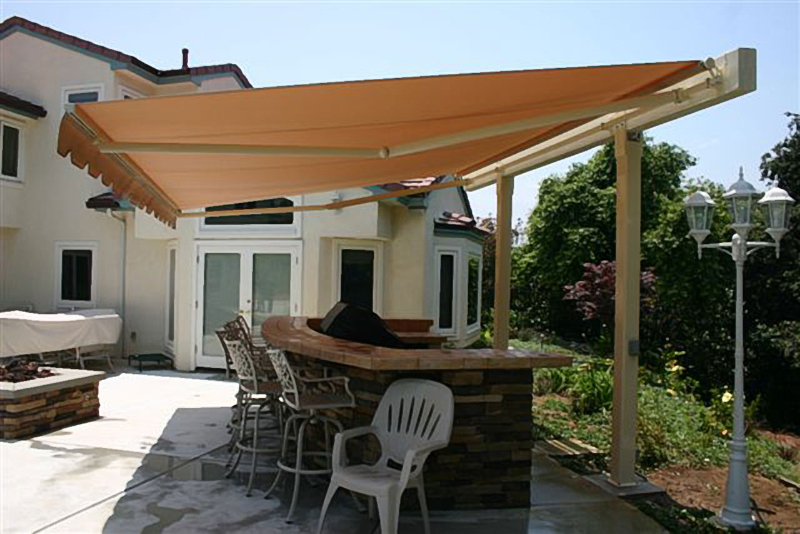 Imagine being able to enjoy your deck or patio area when you want, not just when the weather allows it. 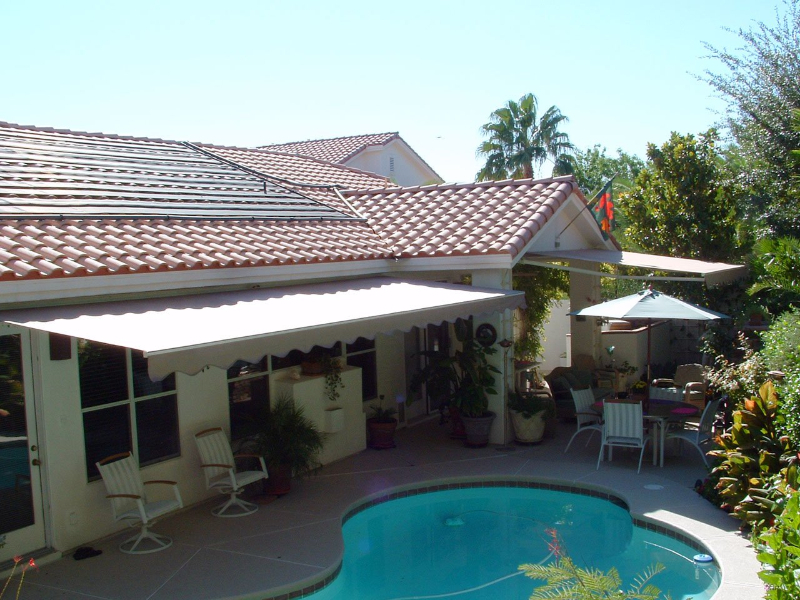 Retractable awnings let you turn that seldom-used, sun-ridden backyard area into cool, comfortable entertaining space at the touch of a button. 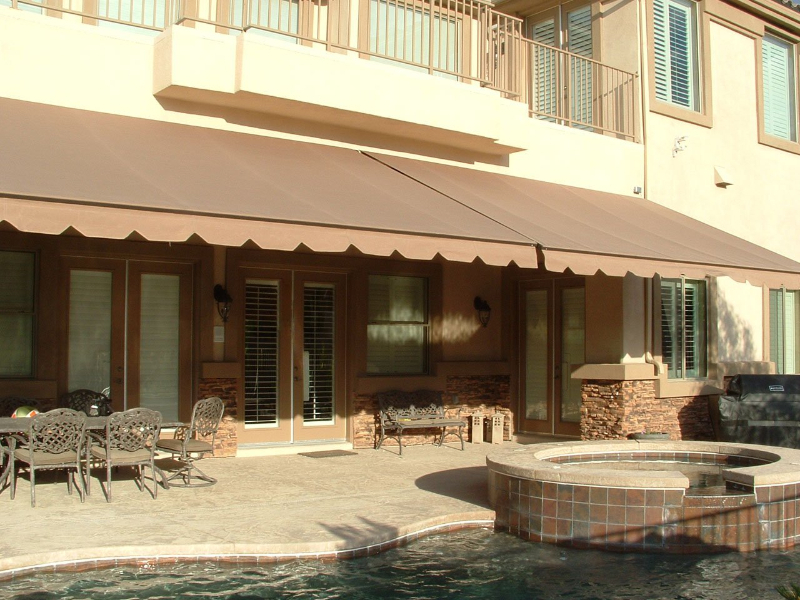 Additionally, retractable awnings will substantially lower interior temperatures and prevent drapes, carpets and furnishings from fading caused by harsh UV rays. 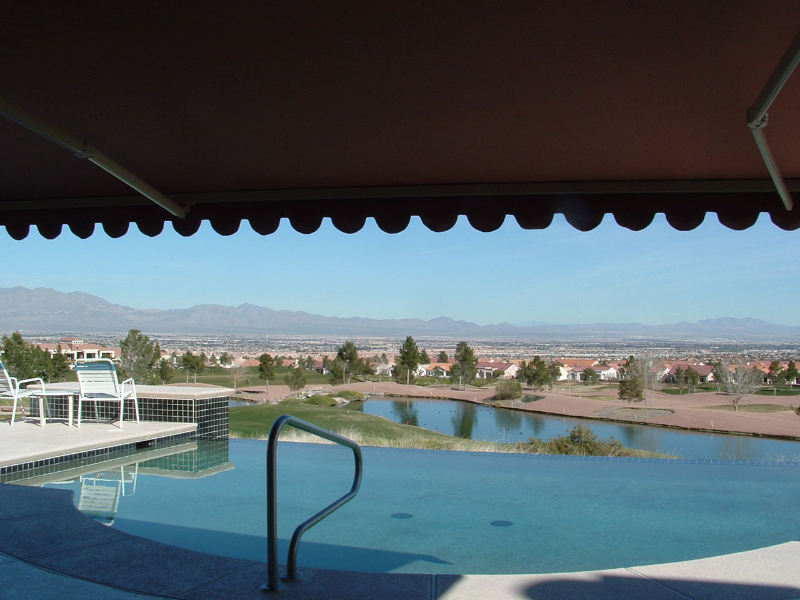 Beautify, cool and protect your home with a lateral arm retractable arm awning. 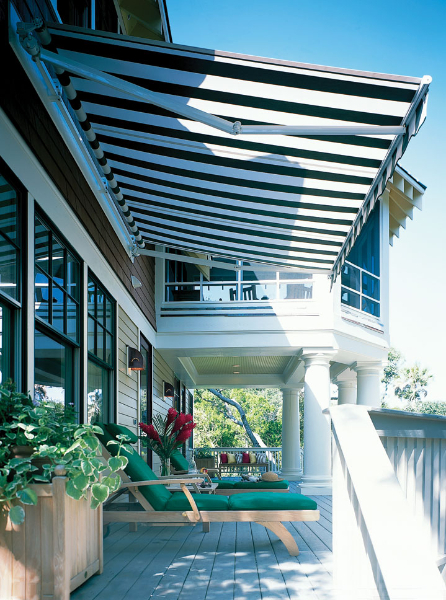 Hardware constructed with high strength extruded aluminum and protected with a durable powder coated baked on finish. All fasteners used in assembly are 300 series stainless steel or aluminum. Operation by either electric motor or a manually operated crank. 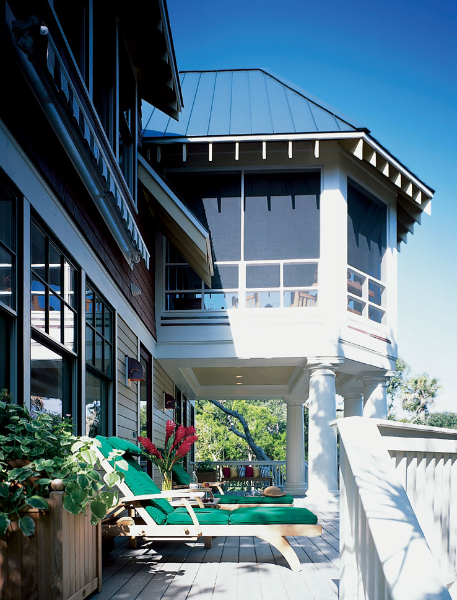 Sizes: 3′ to 13′ projection and made-to-measure to the quarter-inch. 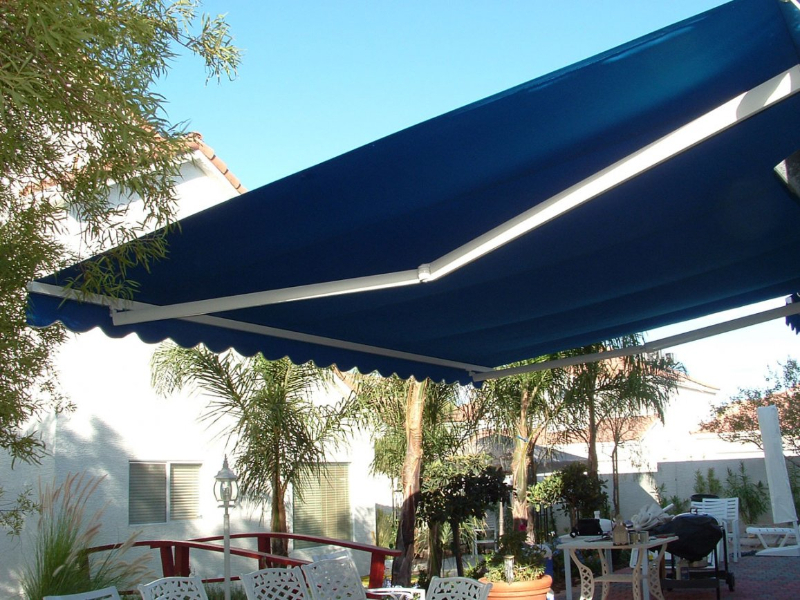 Our retractable awnings are available with numerous options that enhance operation and performance or provide additional protection.